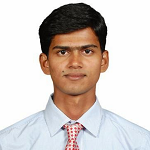 Few days ago I attended a webinar of on internet Marketing and that was really impressive. I also told couple of my friends regarding the same and they told to share that file and so I was searching for some kind of software which can convert that webinar to text and I can take a print for those. I too prefer the printed version of any file as I can read while travelling and all. I keep on taking print outs of different articles and read those while returning to home etc. 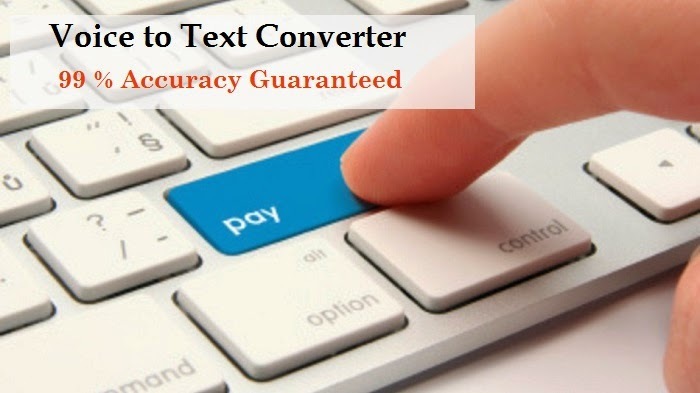 So finally I came across Speech to Text Service which is one among the best audio converter which provides the accuracy up to 99% while conversion. There can be multiple reasons where you may want to convert audio into text. For this most of us hires freelancers to do this job while many uses some short of softwares but generally what I have seen is accuracy is comparatively less. • They are trained professionals and so can do this job better. In webinars, we may have some kind of disturbance as well. So they can remove any such issues while converting from audio to text. • Professionals can easily adapt to different languages. Speech to Text Service does this amazing job for you. Just you have to upload the file and that will convert the audio into text. • There will be no grammatical mistakes. • Professional transcribers carry out all transcriptions. • Professional editors check all transcripts thoroughly. The transcriptions are 99% accurate. • Our specialists have a wide range of experience and are capable of dealing with industry-specific terminology, from medical to financial. If you want to convert any audio file that you have in any format (eg. mp3, wav, wma, wmv, avi, flv, mpg, mp4, m4a, mov, ogg, webm, aiff, amr, 3gp etc. 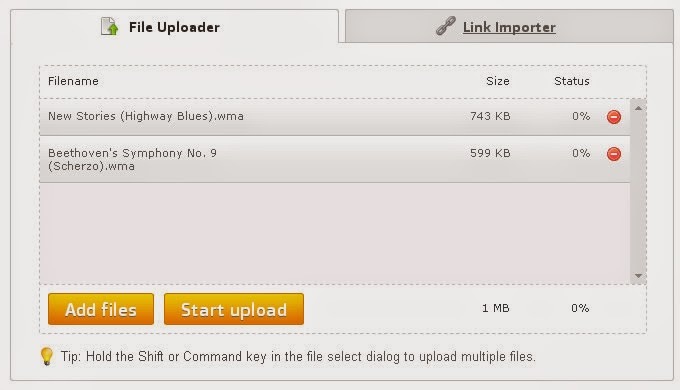 ), all what you have to do is, just upload the file using file uploader and then click on upload. If your file is not on your system and it is somewhere online then also you have nothing to worry! Just use the Link Importer and provide the link where your file is residing. Once the audio file is uploaded, you would be able to provide the instruction to convert into the text. Also you have multiple customizable options while converting speech to text. 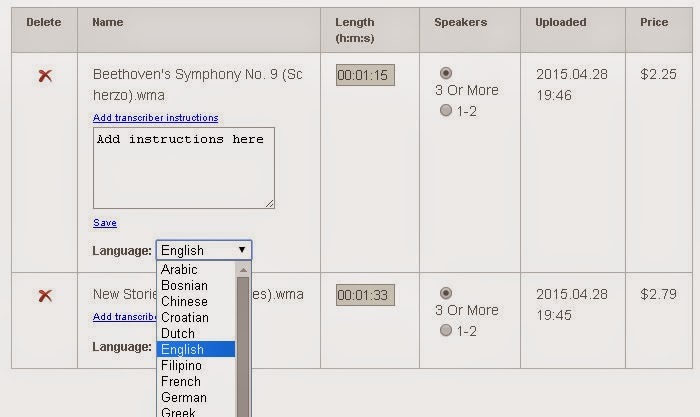 Like you can select the language in which you want to convert. You can enter the number of speakers for better accuracy. You will a screen like below where you can enter your description as an instruction. The price that company demands for this audio to text conversion is also very less and for an audio of 30 minutes you have to spend just $24. Isn’t that cool! I found Speech to Text Service as one of the most reliable audio to text converter at the budget range. I recommend you to try once their services, if you need. Are you using some other services to convert audio to text? If yes, please share with us.